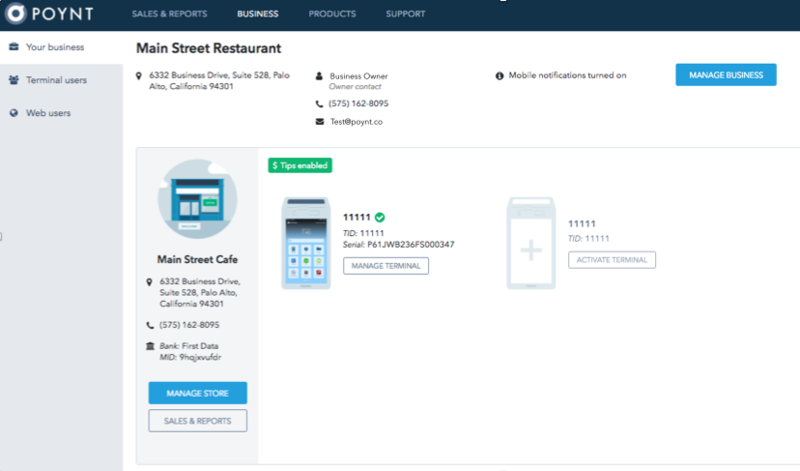 Poynt HQ lets you manage your business where and when you like. View reports, real-time statistics, or set up a new user on Poynt.net. 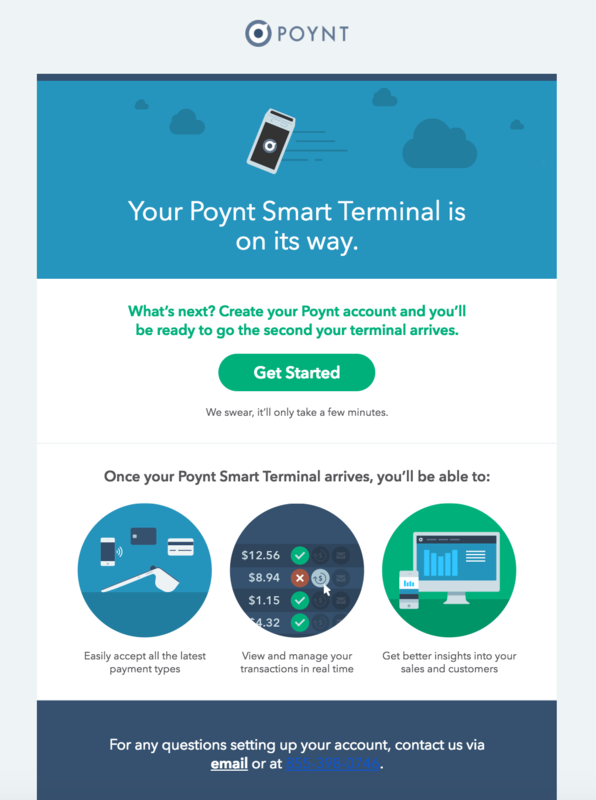 Once you're in, you'll be able to view your Poynt HQ dashboard. Keep in mind that if your terminal is still on its way, this won't display any relevant data just yet. But feel free to take a look around and get the lay of the land while you wait for your terminal. 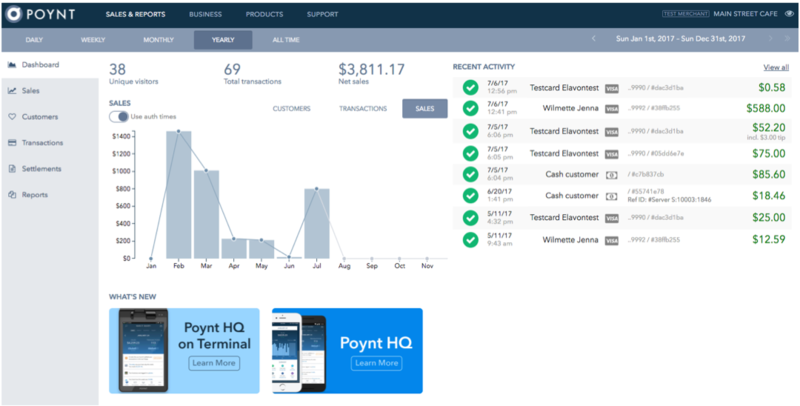 Upon visiting your Poynt HQ page, you'll see along the top the ability to view Sales and Reports, Business details, manage your Products, and contact Support. Under the Business Settings, you have the ability to manage business settings, store settings, and manage your team using the terminal users and the web users tab. Under the Products tab, you have the ability to add the products you sell to your Catalogs so that you may use those to build orders in the Register app. While you may create and manage Catalogs on your terminal, the Products Tab offers the unique ability to Bulk Upload products using a CSV file. View our Help Center or submit a request for assistance using the Support tab on Poynt.net.